To configure the registration form your guests will use in order to become users and their profile information you will need to first login to your admin area. 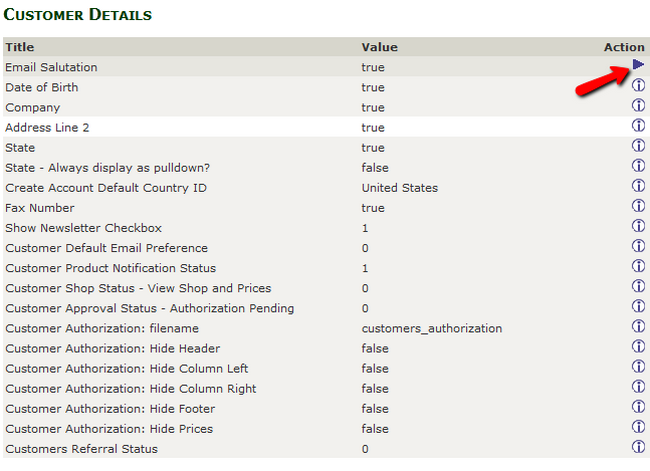 Then navigate to the Configuration>Customer Details section. Here you will see all of the details your customers can provide about themselves. Click on the Info icon to change the setting of the desired option. To view all of the customers on your website, you will have to navigate to the Customers>Customers menu. To edit a user, simply click on it and on the right you will see a panel with 4 options. Choose the edit one by clicking on the button and you will be directed to the user’s profile which you can modify if needed. If you want to remove this user, click on the delete option (you will be prompted for a confirmation before the user gets deleted forever). Clicking on the orders button will redirect you to the Orders menu which we will cover in the next step of this tutorial. 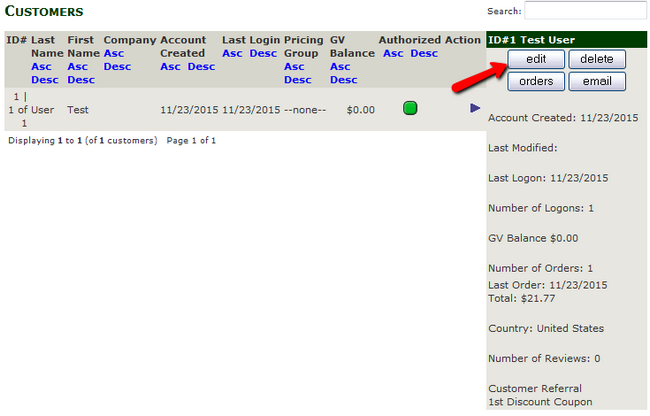 If you want to initiate a correspondence with the user, click on the email option. 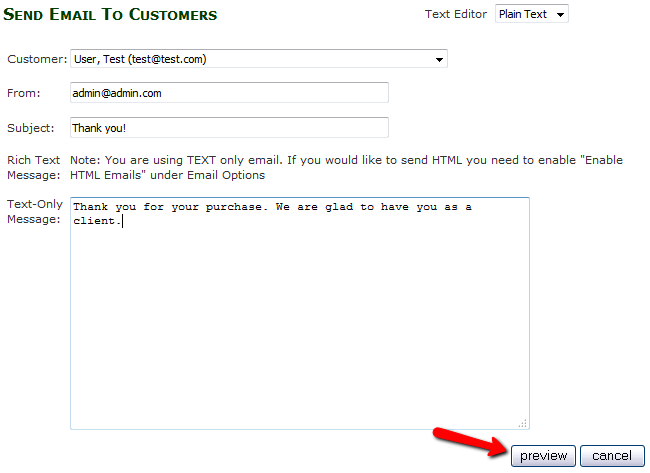 Hit the preview button and then the send mail button to send the email to the user. You can access the order menu from within each customer’s individual orders or navigate to the Customers>Orders section from the main admin panel. You will see all of the orders from your store here and will be able to change some parts of them if needed.